Jaimie Kennedy is one of Canada’s most celebrated chefs. 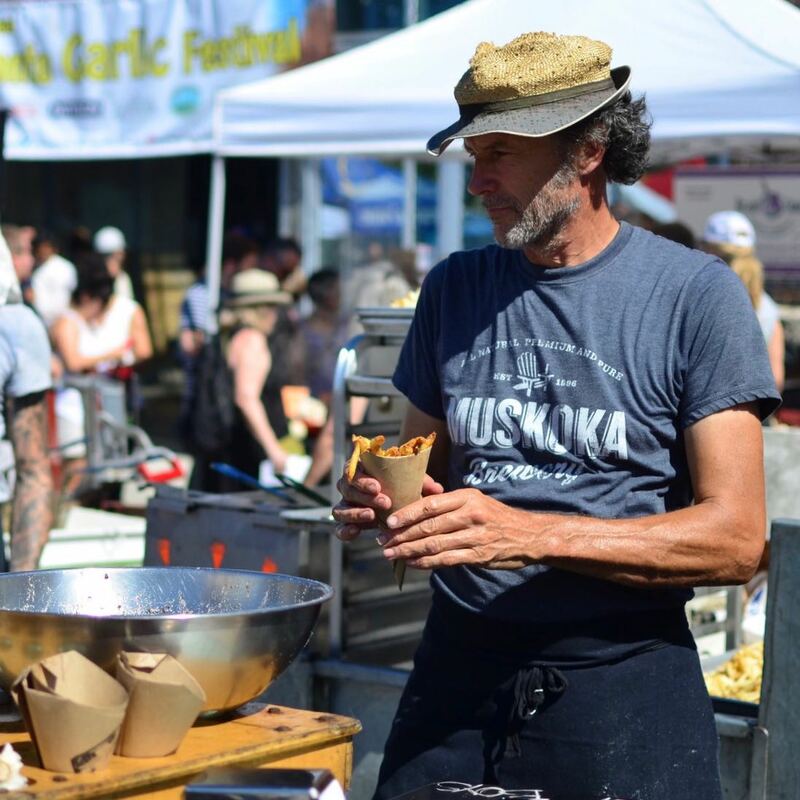 He’s known for his support for sustainable gastronomy and his passion for defining Canada’s regional culinary traditions. Chef Jamie has helped build a community of Canadian producers, consumers and chefs in promoting a sustainable farm-to-table system. 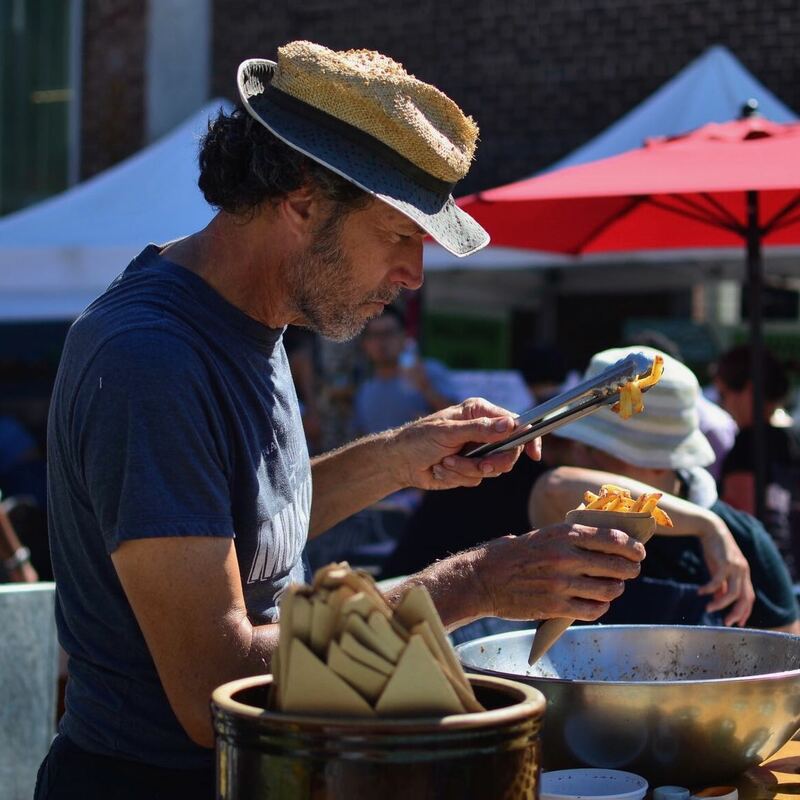 Chef Jaime began his career in the 1970’s, operating numerous restaurants in Toronto until he moved to enjoy country living in beautiful Prince Edward County in 2001. Chef Jaime opened Jamie Kennedy Gardiner at the Gardiner Museum of Ceramic Art in 2006. Chef Jaimie also operated Jamie Kennedy at the ROM, which was at the third floor of the Royal Ontario Museum. Chef Jamie opened Gilead Cafe in 2008, which was known for its Wine Bar, which had a menu of tapas and desserts. Gilead Cafe closed in 2015. Chef Jamie currently operates Jamie Kennedy Kitchens from Toronto. Chef Jamie received the Governor General’s Award in Celebration of the Nation’s Table in 2010. The award is given to Canadians whose work has improved the quality, variety and sustainability of all elements and ingredients of Canada’s tables. He was also awarded the Order of Canada for his work in promoting organic, sustainable and locally sourced Canadian cuisine. The Order of Canada is the second highest honour a Canadian can receive. 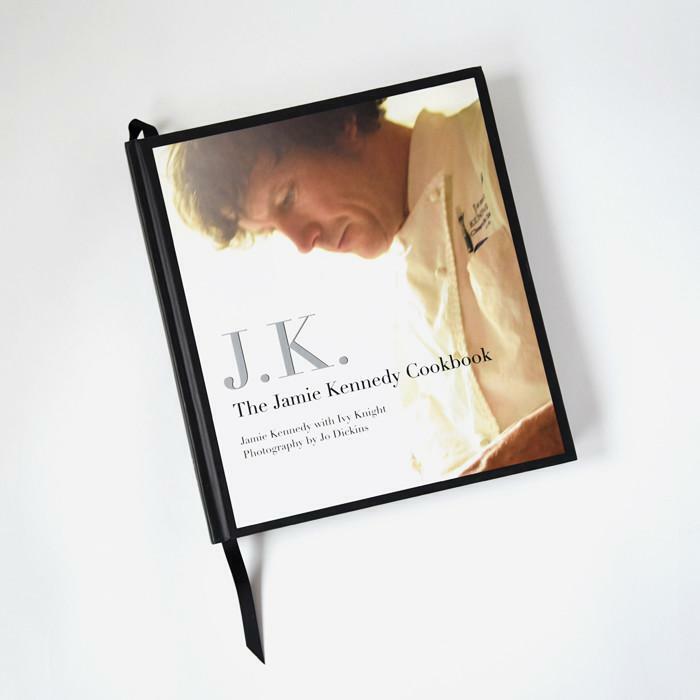 Chef Jamie wrote a cookbook titled J.K. The Jamie Kennedy Cookbook. You can order a signed copy right here. Chef Jamie continues to pursue his passion for sustainable produce, cultivating wheat, spelt and winter rye at his farm at Prince Edward County. While his farm is not open to the public yet, if business picks up, he’s thinking of expanding and making his grains available to the public. 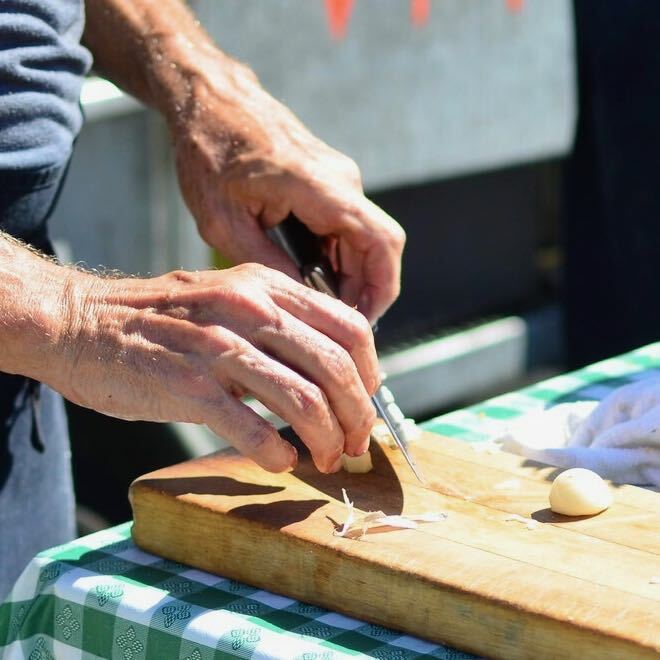 Chef Jamie host an annual fish fry at his farm, as well as very popular intimate dinners during the summer, which is currently on pause until his application for rezoning is approved by Prince Edward County. The Summer Dinner Series is scheduled to resume in 2019. If there’s one thing that Chef Jamie is known for, it’s his French fries. 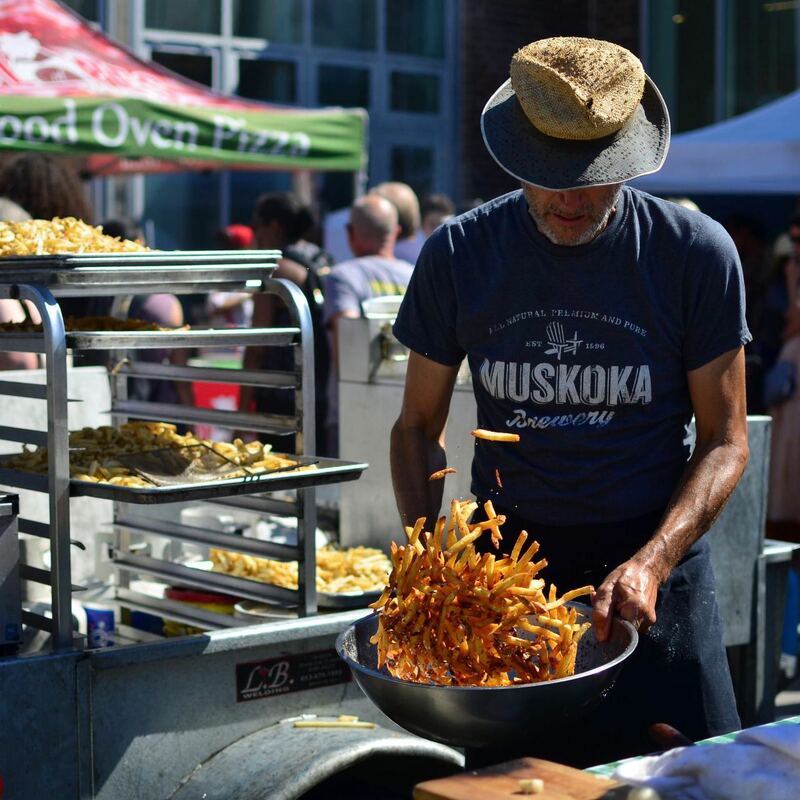 His signature French fries are made of organic potatoes which are dipped in two homemade sauces, one of which is cider vinegar mayo and the other is a seasonal sauce. You can get JK Fries at the Farmer’s Market in Wellington every Saturday.